Bella Haven is a home that provides a safe, loving, and supportive environment to youth who are at–high-risk. Our goal is to facilitate happy endings to sad beginnings. 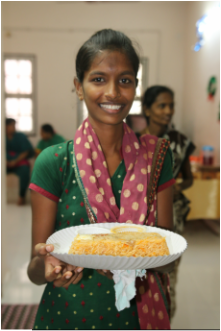 Additionally, the home provides medical care, educational support and spiritual guidance to all of its residents, while promoting awareness and intervention throughout the region. 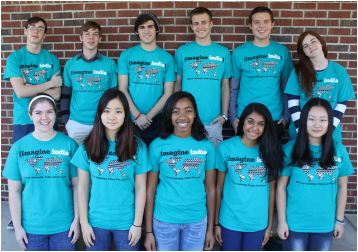 Bella Haven opened its doors on December 13, 2014 (12/13/14) as the result of the efforts of seven high school students who were moved to launch Imagine India. Sam and Shannon Meyyar oversee this project that has become a model for other homes in the region. Although there are several organizations that address these needs, the overwhelming number of victims in the area makes this project a necessity. Additionally, the emphasis on the home environment instead of an institutional atmosphere makes Bella Haven stand out amongst others in its category. We just purchased a new Scooter, inverter and battery! Now the fans and lights will stay on all day and survive the long daily power outages!